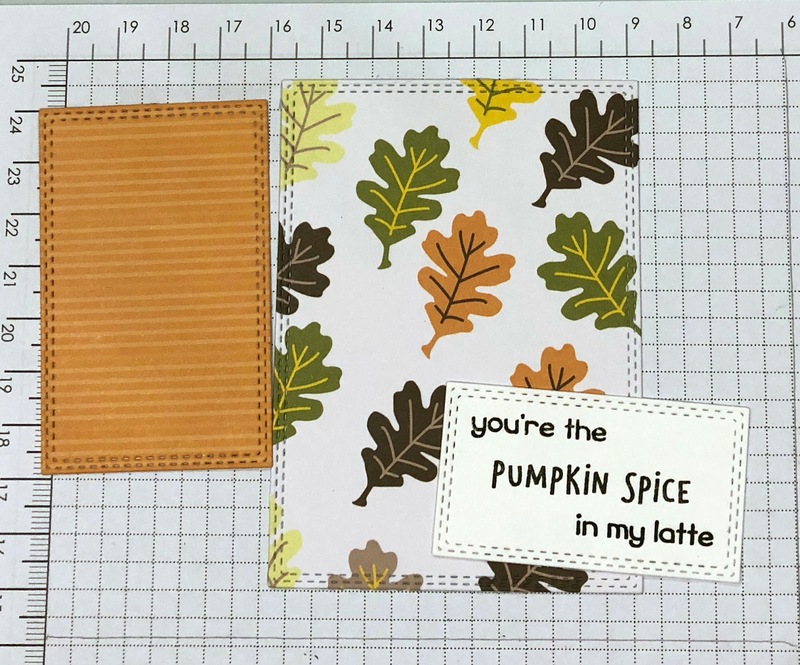 My card today is from the 2018 Halloween release and a sneak peek of the Autumn 2018 release. There are 10 new designs in the Halloween release. You will find these in the online store at a 25% off sale. 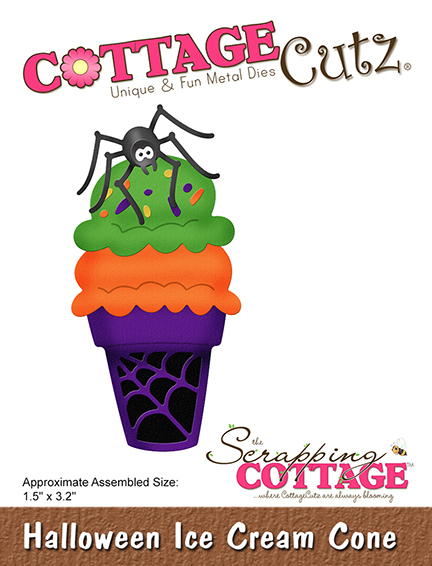 I used the Halloween Ice Cream Cone and the Fall Phrases dies for my sample today. 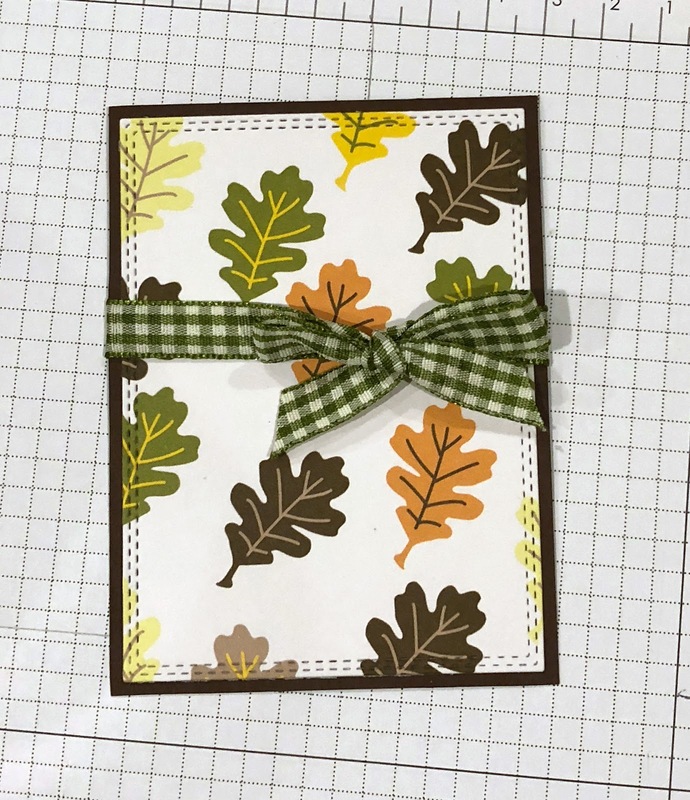 This die is a sneak peek of the new Autumn release coming soon. 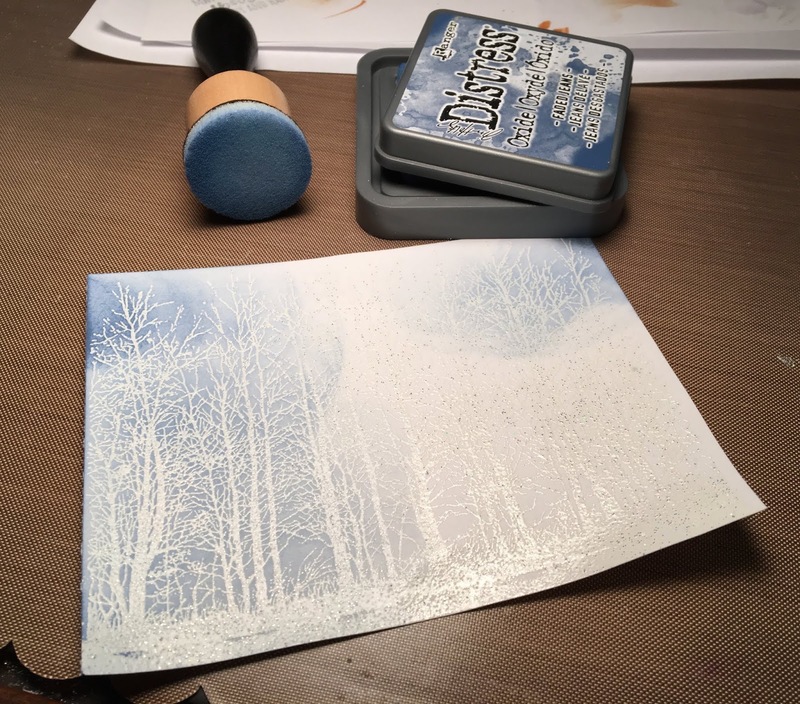 So let's get started with some details on how I created this card. Step 1: I looked through my paper collection for a Halloween themed design. I found this paper that has the title of "spooky night" and I liked the laboratory beakers and flasks on the paper. I thought it would work well with my Halloween themed card. I cut both sheets of the patterned paper at 4" x 5 1/4" and then cut on an angle. The panels are joined together with some matching ribbon. 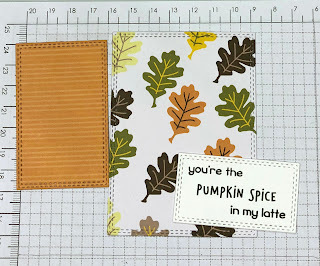 Cajun Card Base: 4 1/2" x 5 3/4"
Orange layer panel: 4 1/4" x 5 1/2"
Patterned Paper: 4" x 5 1/4"
Step 2: I cut my ice cream cone in similar colors to the die packaging. 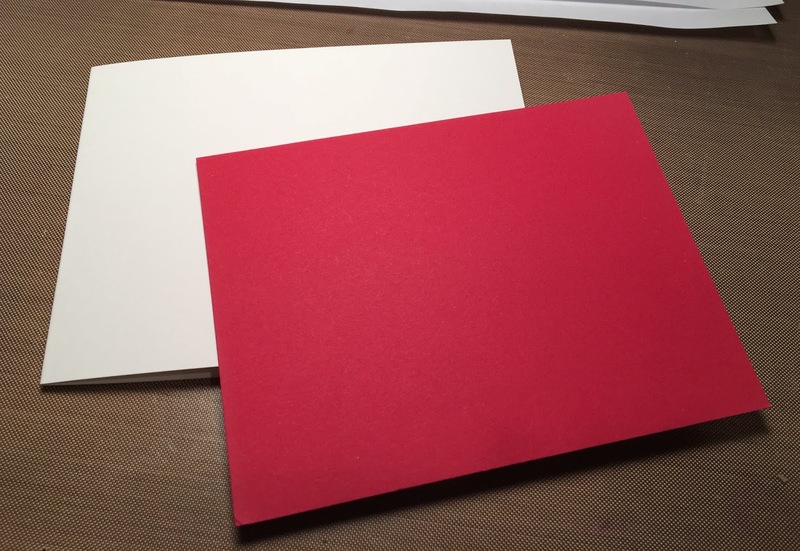 The hello word is cut in the Cajun (cinnamon) cardstock. 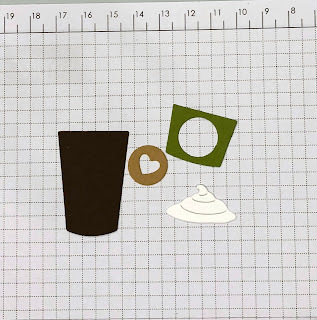 I used the Rectangle Set & the Pierced Rectangle dies as a backdrop for my ice cream cone. 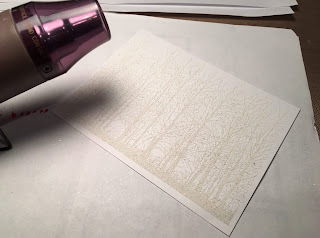 Stamped my spooky wishes sentiment on the white panel in black ink. The ice cream cone is secured with dimensional adhesive and the hello phrase with Ranger multi matte medium. Step 3: To finish off my card, I scattered 3 black rhinestones. 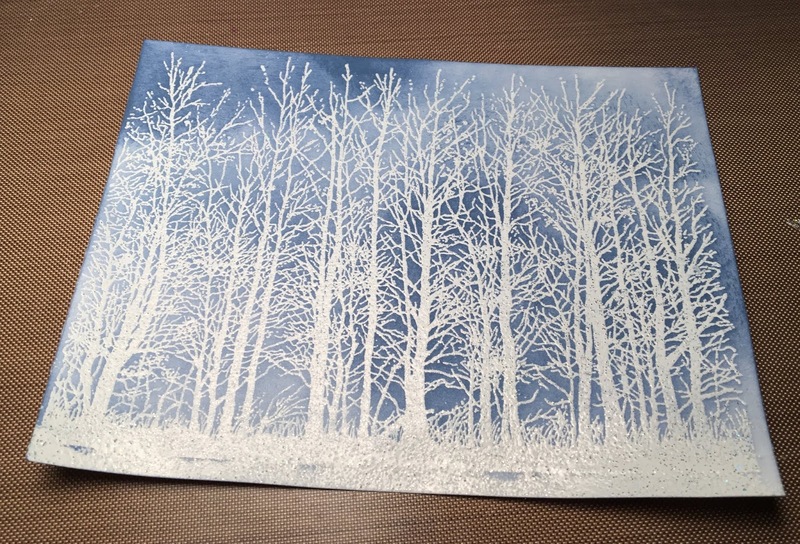 It balanced the image panel nicely. Attached the panel to the card base with double sided tape. Well, that's it for me for this week. 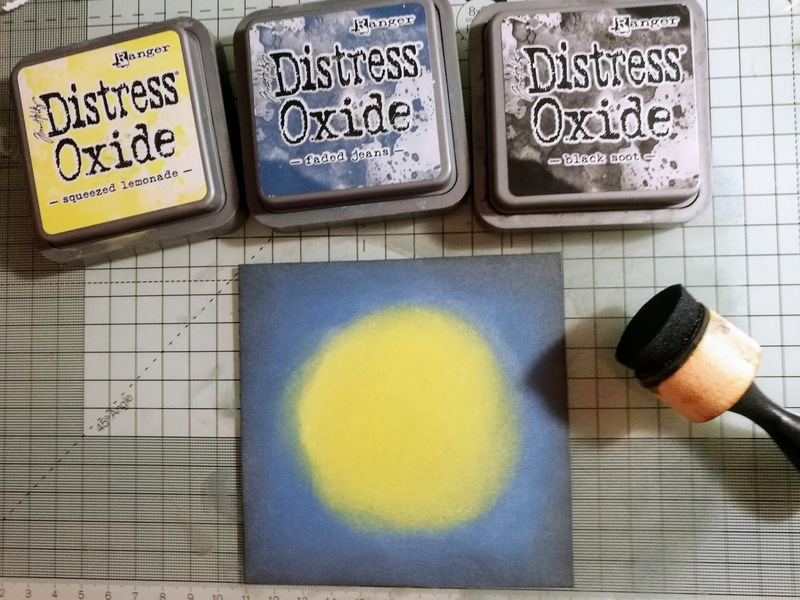 I hope I have given you an idea for a way to use these new dies. 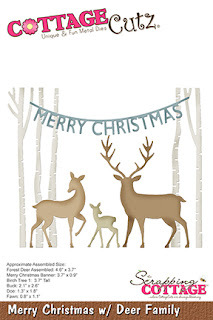 And, remember they are 25% off in the online store. See you next Saturday! Happy Friday! It's Jeanne posting a card today using a super versatile die from the Christmas Part 2 collection. 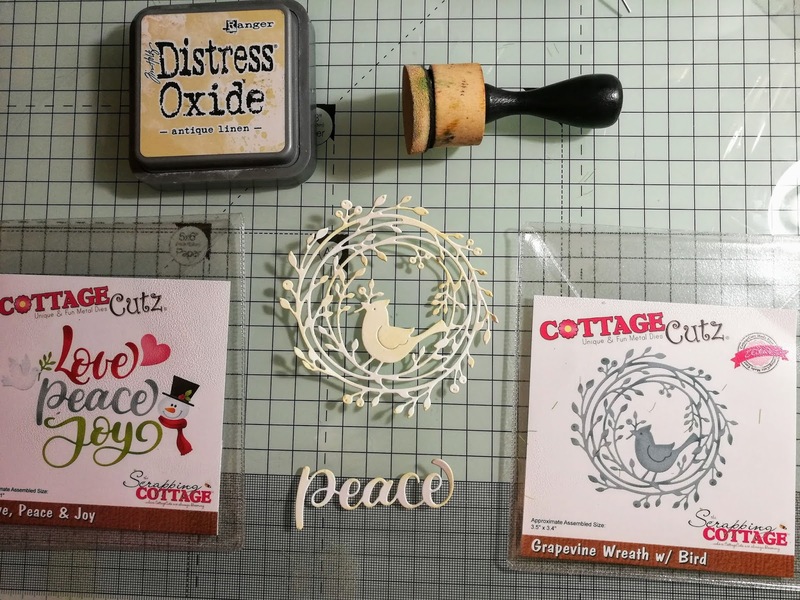 Before I get to my card I'd like to encourage you to check out the Christmas Part 3 and Halloween dies that are on sale right now on the website. Look for samples from the design team coming soon. Now on to today's card. 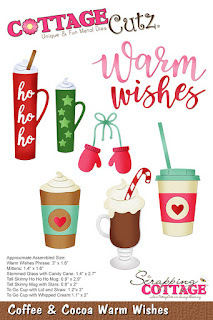 I used the Coffee and Cocoa Warm Wishes set. 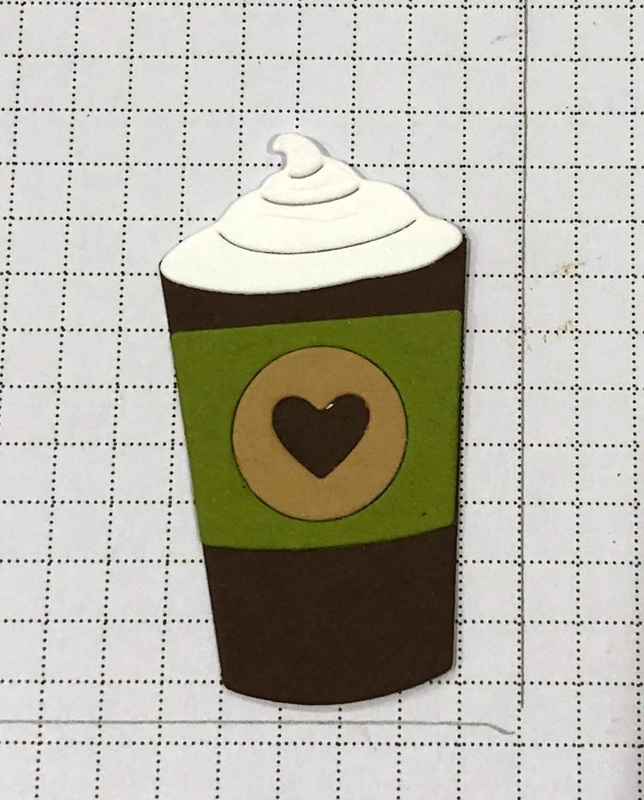 With all the coffee sentiment stamp sets out there, this die set with it's variety of mugs and cups could be used for virtually any occasion. 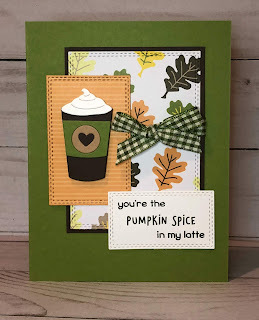 Today I went with a fall theme - I love my pumpkin spice! To make this a fall themed card all I needed to do was change my paper and colors to go along with my pumpkin spice sentiment. 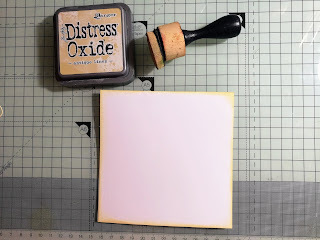 I used three dies (the second and third from largest and the second smallest) from the Double Stitched Rectangle set. 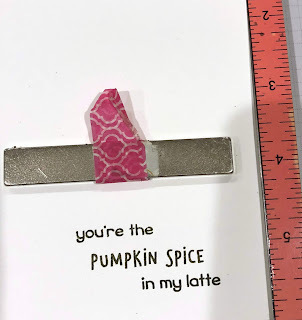 Then I cut the latte pieces from coordinating card stock. For the card base, I decided to use a green A2 base. I don't normally use colored bases much but the color really worked well on this one. I cut a rectangle from brown card stock 1/16" larger on each side than the leaf rectangle to give it some definition. 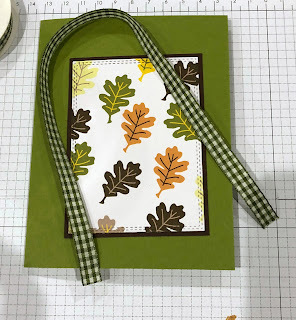 I cut a piece of ribbon 15" long and tied it around my leaf panel. I then assembled the card and used foam dots to pop the latte cup off the orange panel. This was a super easy card to make but really makes an impact. 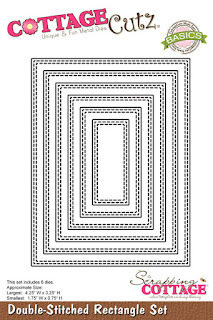 Just by elongating one of the rectangles you could use several of the mugs instead of just one. I LOVE this set! 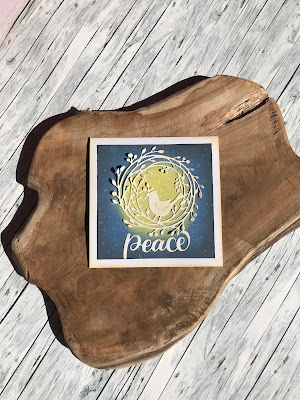 Thanks for stopping by - have a relaxing and creative weekend! We are so happy that you stopped by to visit with us today!! 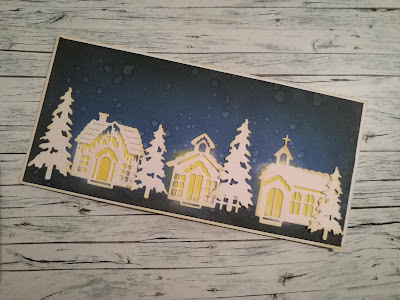 I am showing you a die from the Part 2 Christmas release today. In this release there are 29 different designs and everyone of them is unique and very detailed. 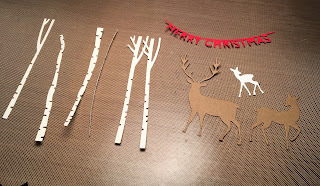 Very soon you will be seeing examples from our Christmas Part 3 and Halloween dies. 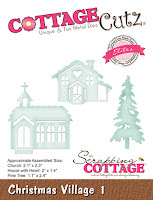 These dies are already in the store with a 25% discount! There is also an exclusive die that can only be purchased through the online store. So make sure you stop by the store to see our sweet Dakota the Huskey!! 2. Cut a piece of white card stock 4 x 5 1/4 and stamp the background using a forest stamp with Versa Mark. Thanks so much for stopping by! And make sure to take some time to be creative!! 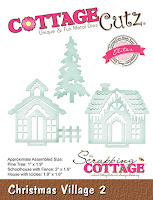 Hello Scrapping Cottage friends! Thanks for taking the time to stop and visit today. 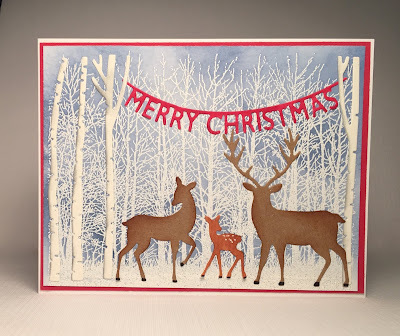 We are sampling DT cards from Part 2 of the 2018 Christmas release. There are 29 new designs in this release. 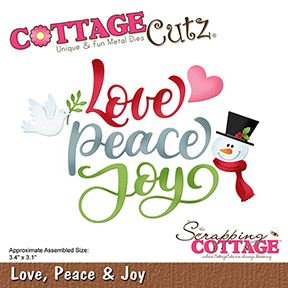 And, speaking of new releases Christmas Part 3 has just been released along with some new Halloween dies. You will find these in the online store at a 25% off sale. There is also an exclusive die that can only be purchased through the online store. Check out the sweet Dakota the Husky die. 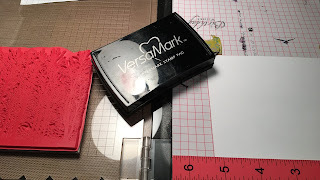 The DT will be showing samples soon with these new dies. 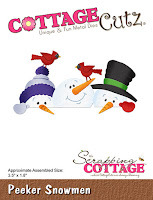 Today, we have a group post showing samples from the recently released Christmas Part 2 dies. 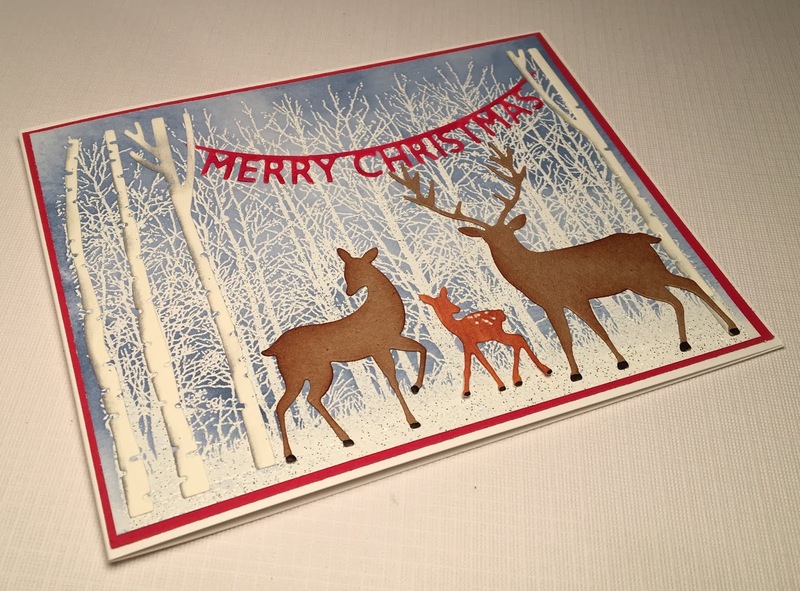 All the card samples today are ones that could easily be mass produced for Christmas card giving. 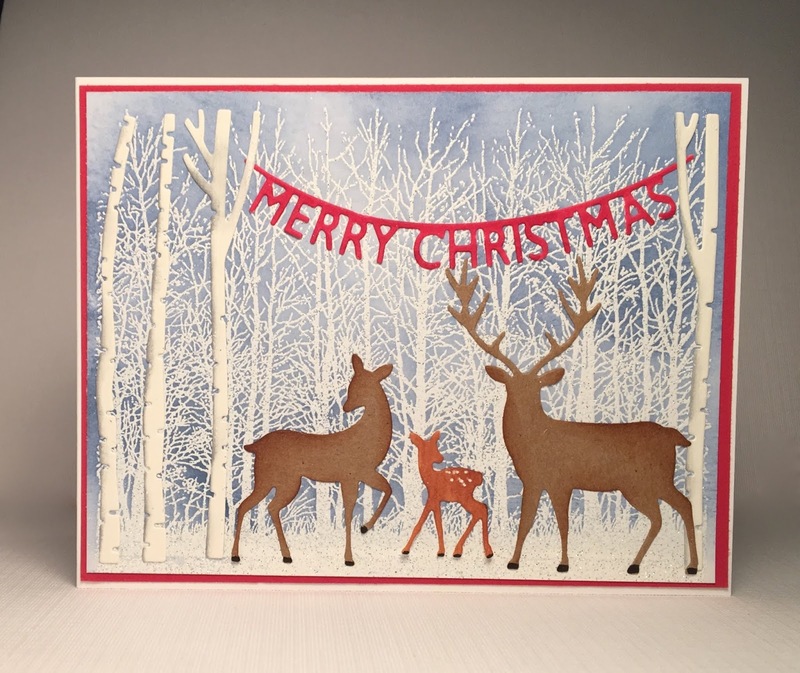 Card 1: This first sample is from Jeanne Knobbe. 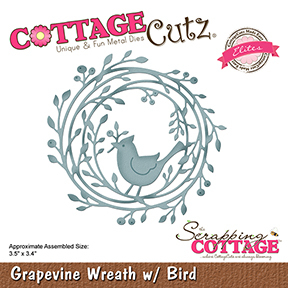 She used the Grapevine Wreath w/ Bird and the Love, Peace & Joy dies to create this soft and serene card. 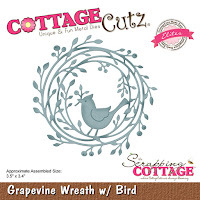 The wreath was colored with Copic markers except for the bird which was left in white. 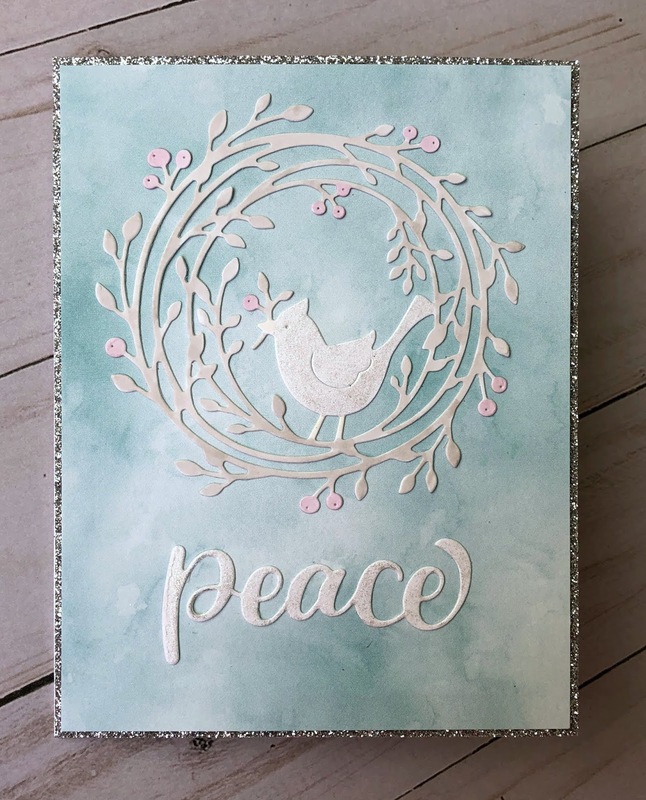 The bird and peace word are covered in two coats of wink of stella for a bit of shine. Notice that she continued the sparkle by layering the image panel with silver metallic cardstock. 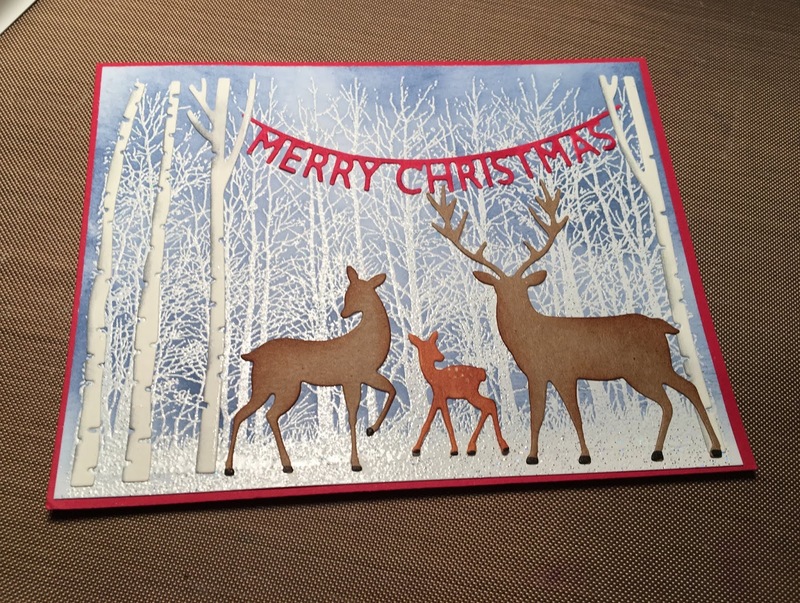 Card 2: Our next sample is from Anja Zurga. 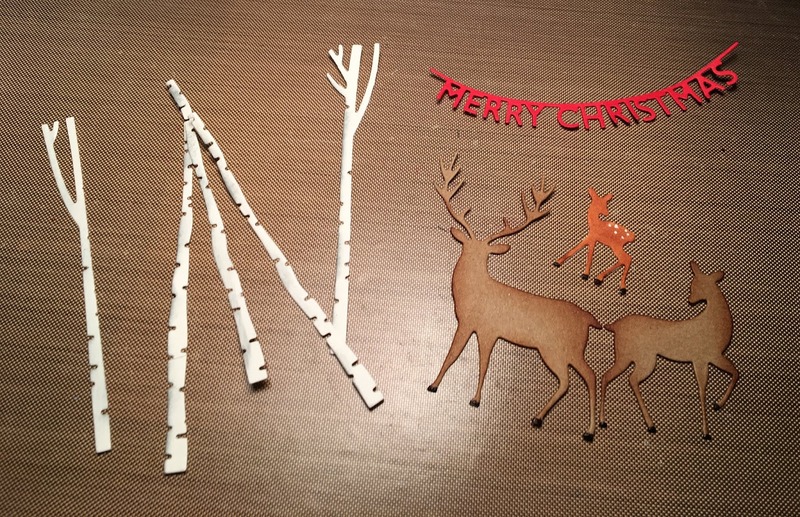 She used the Christmas Village 1 & Christmas Village 2 dies to create her beautiful night time scene. 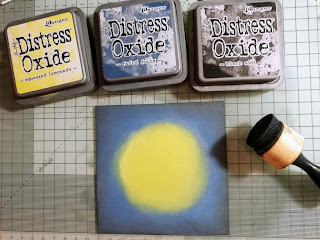 The background is sponged with distress oxide inks and then she splashed with a bit of water. 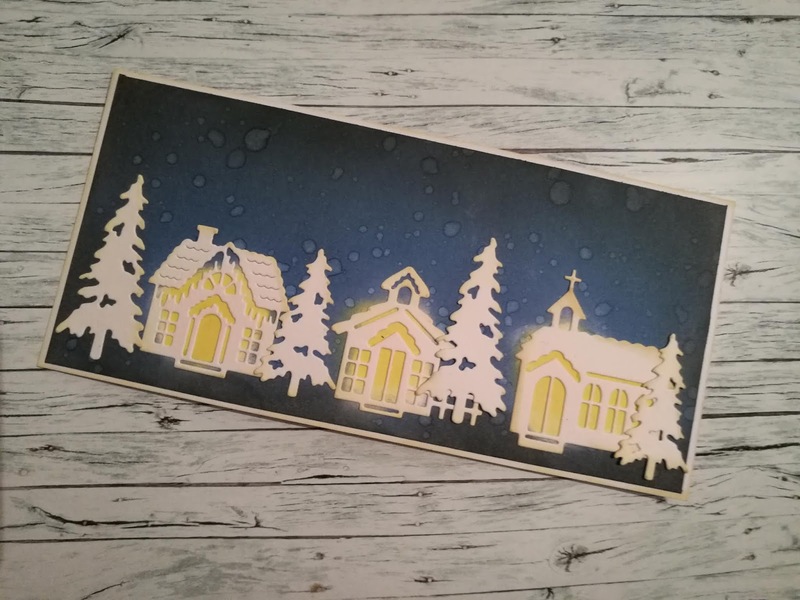 She also sponged a little yellow ink to give the effect of a soft glow coming from the buildings. Card 3: Our next sample is from Janja Albreht. 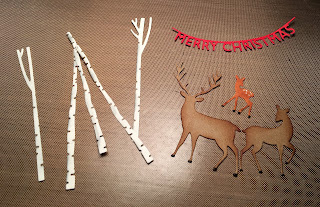 She used the Winter Deer Oval + The Merry Christmas w/Deer Family dies to create her woodland scene. She used patterned paper with a subtle design that gives a beautiful whimsical look to this card. It reminds you of a misty moor. 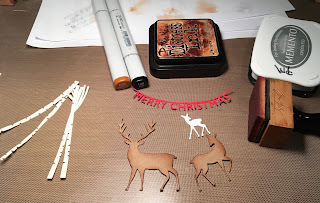 Her oval cut in the medium shade of brown draws your eye right to the deer image. 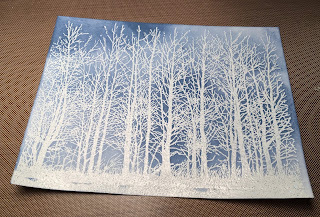 Card 4: Our last sample for today is from Anja Zurga. 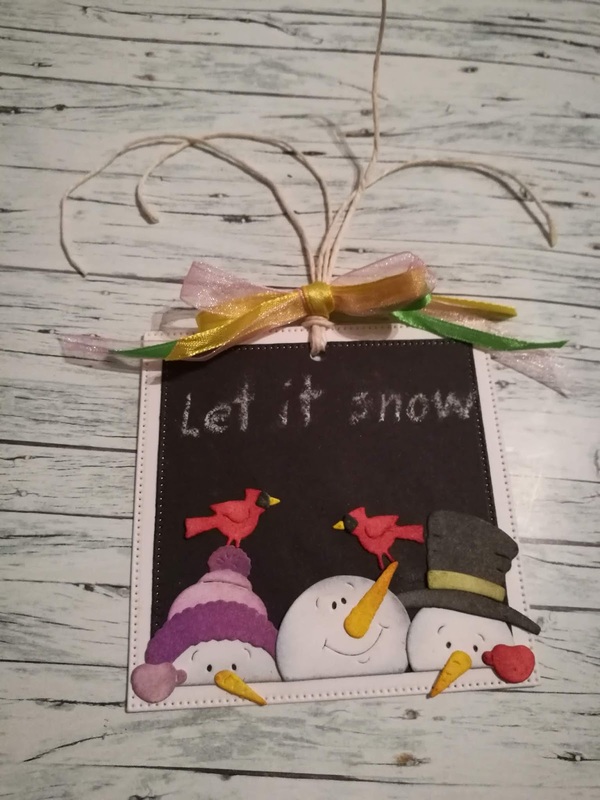 She used the Peeker Snowmen die to create a beautiful Christmas tag. 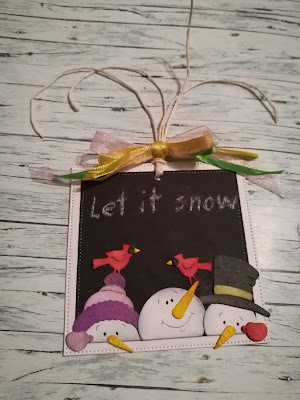 By using black cardstock as a background it created a dramatic look for her sweet snowmen. The sentiment in white ink gives a chalkboard look to her tag. Wouldn't a tag like this look great on that special Christmas present. It's a gift in itself. That's our samples for today. 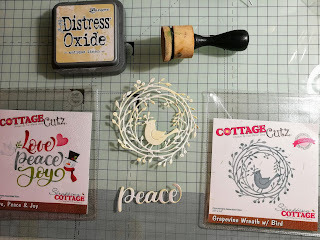 Hope the team has given you some new ideas for using these fabulous Christmas dies.